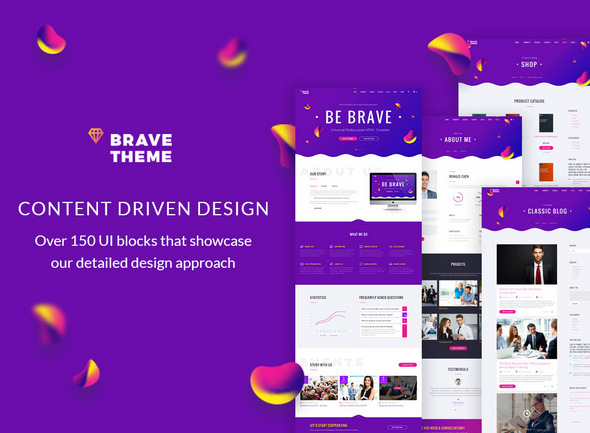 Brave Theme is a multipurpose responsive html website template with an optional Visual Page Editor – Novi abord. Brave Theme is perfect for creating a unique website. Hundreds of ready-made blocks and elements, Visual Page Builder, 100+ HTML pages, Header & Footer variations, Premium business design, Working Contacts and subscribe forms, Google Captha, Gallery, Blog, Shop Pages and Working Camping Monitor and MailChimp forms.